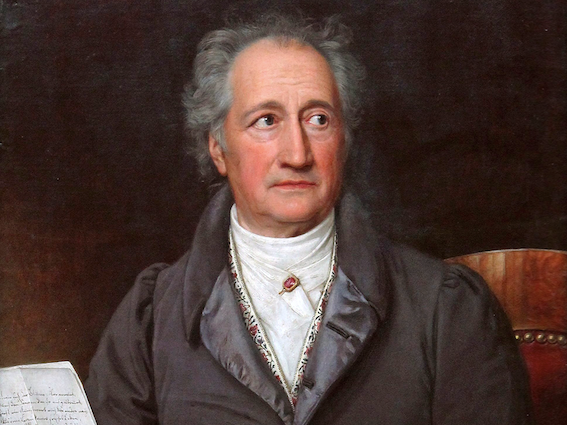 German writer Johann Wolfgang von Goethe once said, "Personality is everything in art and poetry." However, had ecommerce existed during the eighteenth century, we believe this quote would have read: "Personality is everything in art, poetry and ecommerce." When it comes to ecommerce marketing, tone of voice is crucial; it’s a way of communicating your brand’s personality to the rest of the world. There are thousands and thousands of brilliant ecommerce brands out there, but only a few have truly mastered the art of tone of voice. From website copy to social media captions, we’ve looked at some of the best brands using the written word to convey a sense of character. Like people, each brand has a different personality. However, they all share one important thing: the ability to connect with consumers on a personal level and in a consistent way. 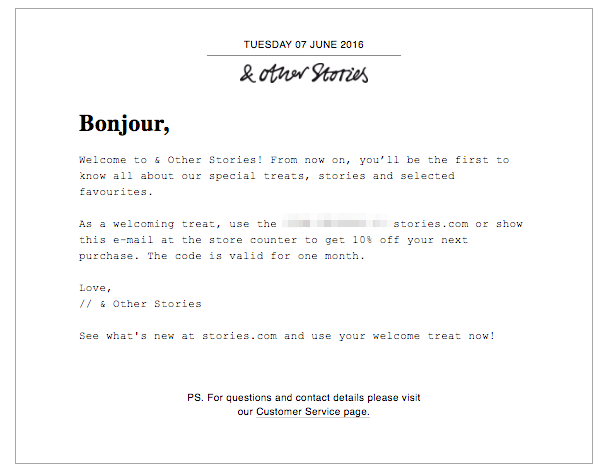 & Other Stories is a Swedish fashion brand for women, offering clothes, shoes, accessories and more. Personality: Creative, imaginative and unique. 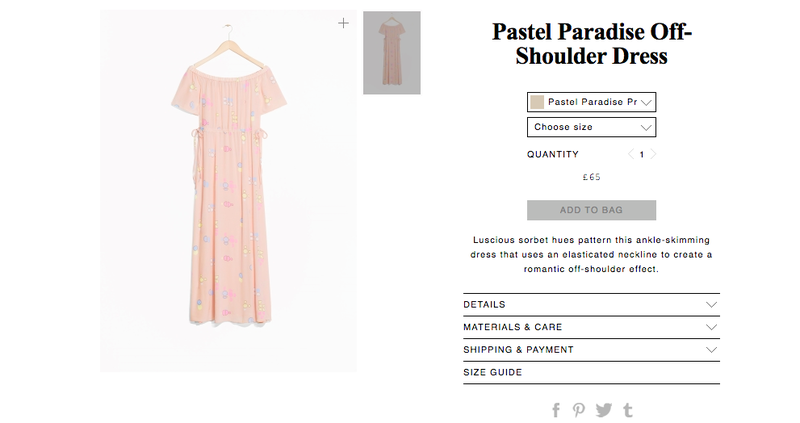 Creative and detailed product descriptions; for example, "luscious sorbet hues pattern this ankle-skimming dress". Love it. Relatable copy when talking about looking after products, e.g. “we know that these products have a tendency to end up on windowsills and radiators…” in the “Next Chapter” section of website. Imaginatively written newsletters that tell a short story. 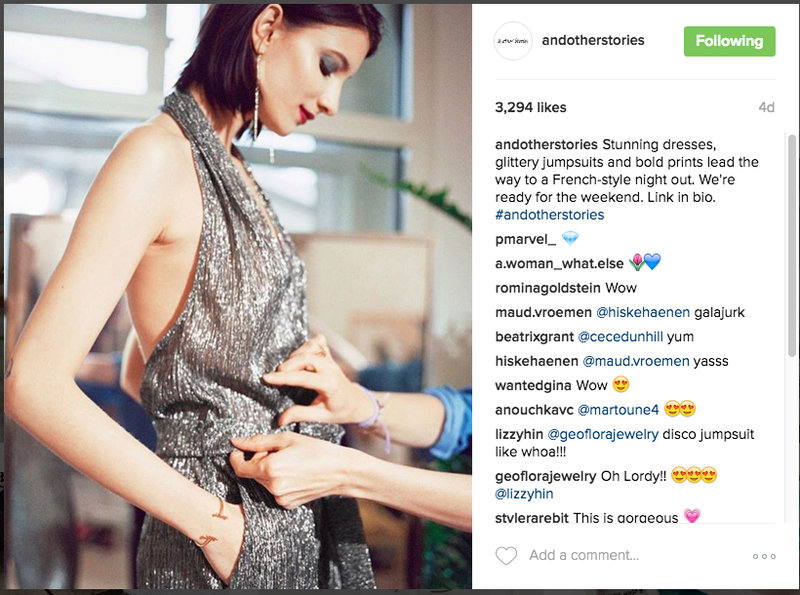 Social Media style that reinforces the & other stories lifestyle by showing photographs of women getting ready to go out with friends which are accompanied by a light-hearted, colourful captions. What we can learn: If your brand was a person, who would he/she be? Give them a name, age, likes/dislikes and hobbies. When writing your brand’s copy, remember that you are this person! Creating “high-quality pieces for everyday life” that are “on demand, direct to you”, AYR is an undeniably cool brand taking the fashion world by storm. Personality: Chatty, funny and doesn’t take itself too seriously. 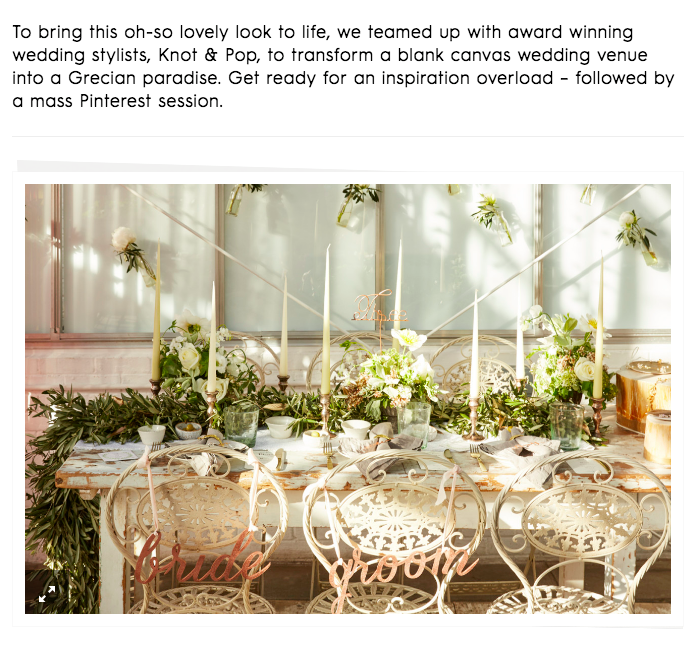 Colloquial and cool website copy. Chilled-out “meet the team” section (not a corporate, stuffy photo in sight!) 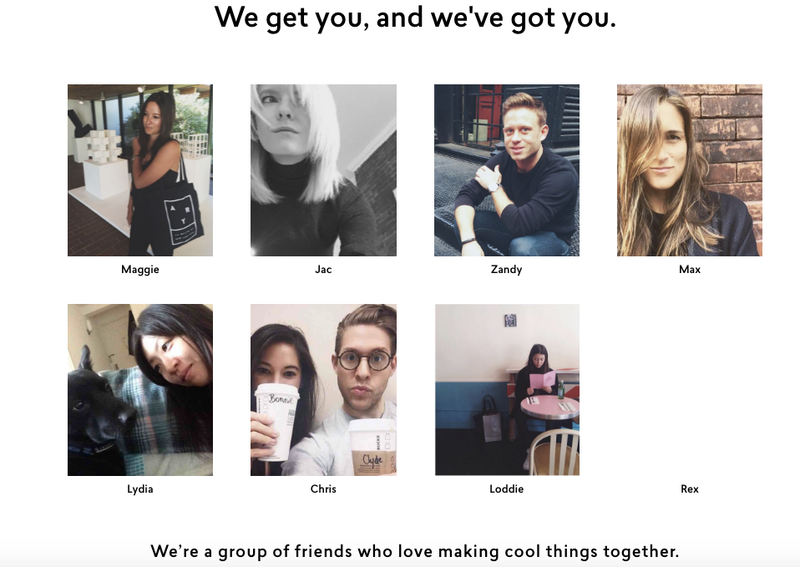 Whimsical snaps of the team, who describe themselves as “a group of friends who love making cool things together”. 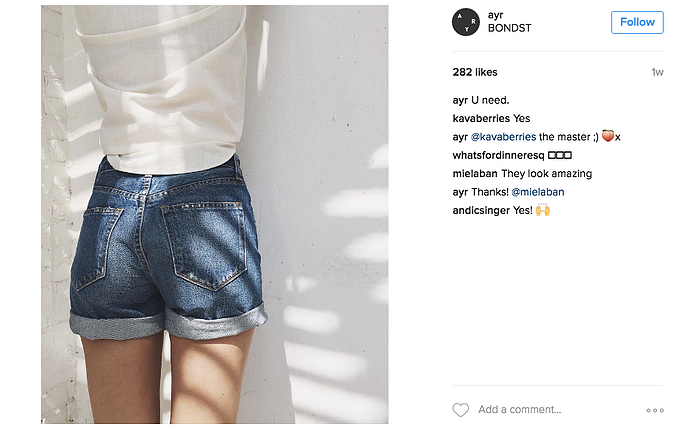 Slang on social: With captions such as “U need” accompanying snaps of products, AYR converse with followers as if they were close friends. What we can learn: It’s okay to use slang and write in a casual way on your website and social media, especially if you have a subscriber base that will respond better to this. We never thought we’d refer to a tights manufacturer as “interesting”, but then we never thought we’d discover a brand like Heist. The brand was established in an old Spitfire factory in London with the goal to “reimagine tights”. Today the tights are designed in London but hand sewn in their factories in northern Italy. However, as well as manufacturing awesome tights, Heist Studios has also made it its mission to “celebrate strength and femininity”. The brand collaborates with inspiring female artists to look at new, innovative ways of presenting the female form. Website copy: written in first person narrative that speaks directly to the reader (using pronoun “you”) and using short sentences but detailed descriptions. 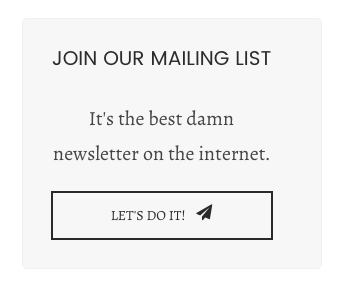 Friendly and welcoming welcome newsletter that makes you feel part of the gang. Signs off with "Love". Consistent with social campaigns; e.g. 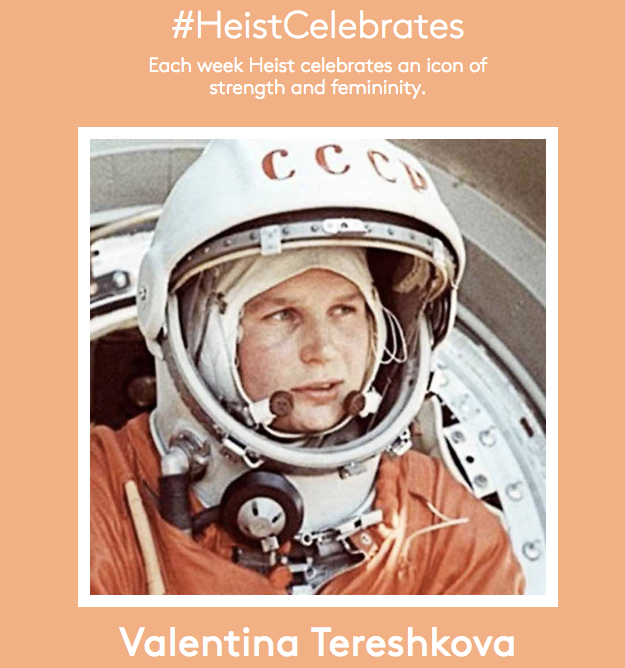 #HeistCelebrates, which celebrates different woman across the globe - past and present. What we can learn: Your brand’s personality doesn’t have to be defined purely by what it sells. Move beyond the mould and think about what your brand stands for. 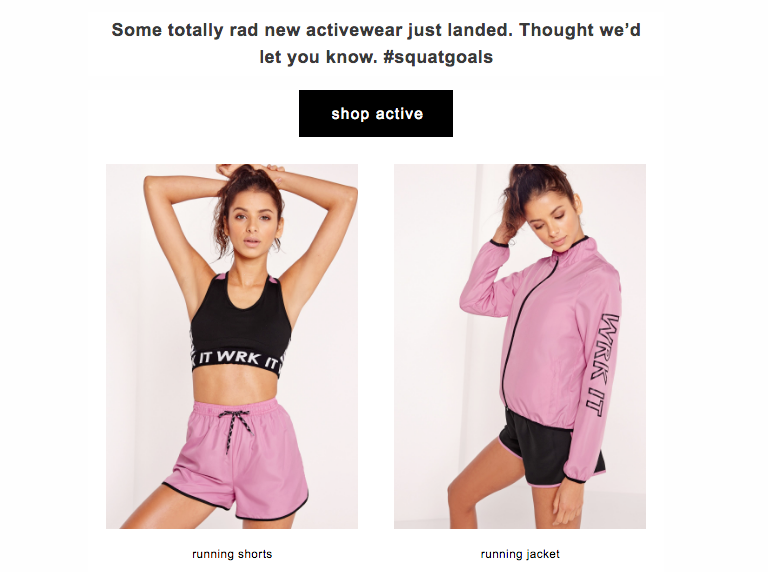 Missguided is a “forward thinking” online fashion brand that is “inspired by real life”. Like the rebels at the back of the class, the brand always seems to be having fun. Personality: Kooky, cheeky and a bit rebellious. Cheeky and colloquial online copy emulating the way younger generations speak today. Playful and entertaining newsletters that use catchy hashtags. What we can learn: Don’t be afraid to have fun with your brand’s tone-of-voice. Beardbrand is an online store selling products needed to look after your beard, as well as accessories. It grew out of a blog with advice and style inspiring for those growing a beard. Personality: Dry sense of humour, witty and eloquent. 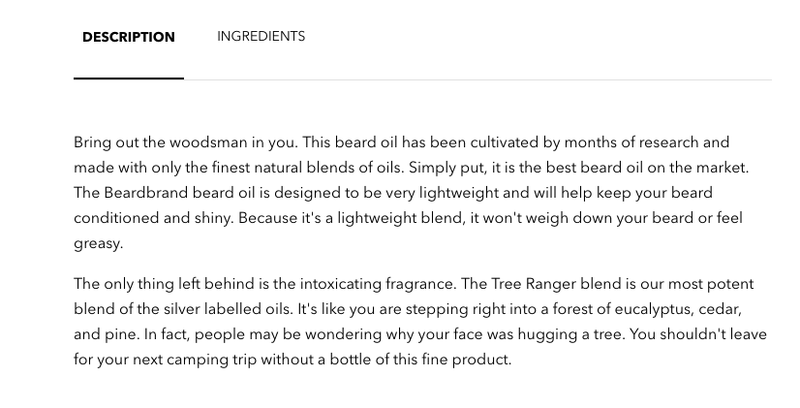 Lengthy product descriptions that are engaging and fun to read. Bearbrand has an archaic style that is quaint and entertaining to read. Comprehensive and witty About Me section. Amusing pop-ups; e.g. inviting browsers to join their mailing list. What we can learn: Remind your brand to always be itself. Sometimes, being a bit different pays off. Established in 2006, this website is one of the UK’s “most exciting and fastest-growing ecommerce businesses”. Personality: quaint, enthusiastic and thoughtful. Blog that shows a real passion for product and design. By using phrases such as "oh-so lovely" in the content, the brand takes on a friendly tone that makes readers want to read on. 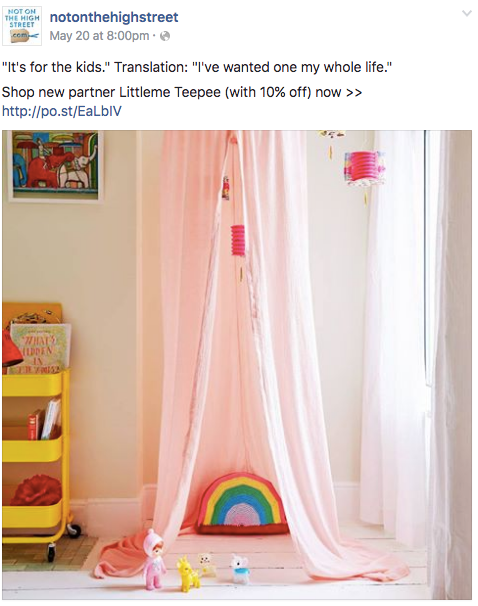 Social media posts published with funny anecdotes from designers/customers. What we can learn: Talk to your online browsers and subscribers as if they were an old friend. So, it doesn't matter whether you're outgoing and audacious or a deep-thinking intellectual, the important thing is your brand has a personality of its own that people will recognise, remember and respond to. Once you've established your brand's tone of voice, be consistent. Every social media post, website navigation bar, welcome email, browse abadonment email ...everything!...should adhere to that tone. As Shakespeare wisely advised: To thine own self be true.